Are You Ready to Start Potty Training? 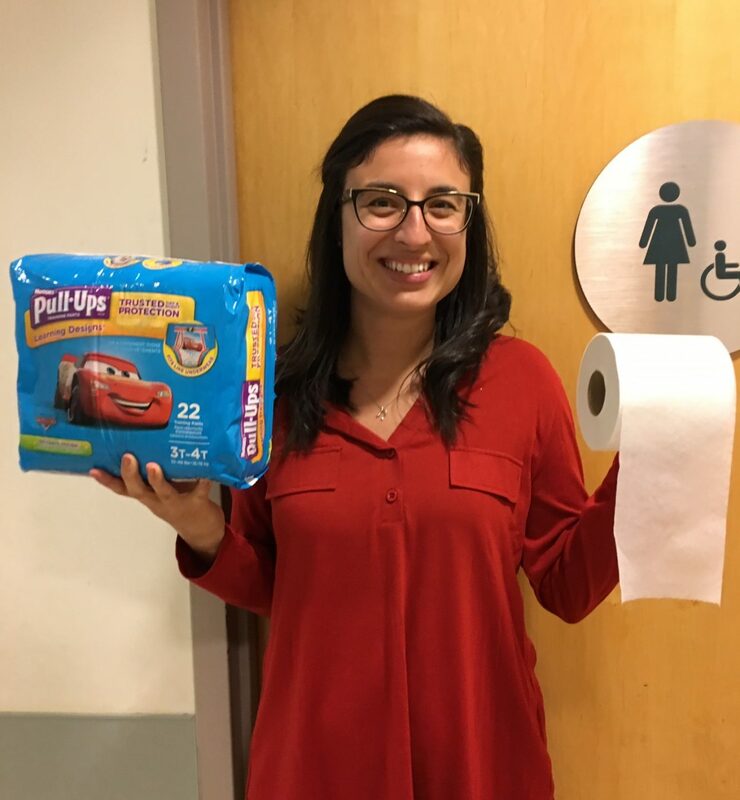 Mora Pluchino, DPT, treats adults and children with pelvic floor conditions as well as more common musculoskeletal problems. Here are a few questions to help you choose the right time to start the potty training process. Potty training is not something to rush into. We recommend waiting until your child is over the age of 2, possibly closer to 3 unless he has all the other signs he is ready. Children under 2 tend to ignore the signals their bodies give them and can become holders of pee and poop which can put them at 3 times more risk for bedwetting than if they were trained when older. Is it easy for your child to poop? Does your child have lots of soft, mushy, easy to pass BMs? This is one sign that things are going well in their GI system and that potty training will be successful. Does your child struggle with constipation? Do you see them struggle to pass a BM, with logs or pellets showing up in their diaper? If so, reach out to your pediatrician for ways to manage constipation. Pain associated with BMs can make completing potty training more difficult than it needs to be! What are your child’s peeing habits? Check to see if your child can hold their urine for short periods of time (1 – 2 hours). In young children, this regular urination keeps the bladder stretchy and its capacity normal. We want to avoid chronic holding of the urine as this can damage the bladder and cause bad habits. Again, our biggest enemy during potty training is constipation. We want to encourage our children to eat “real” foods including fruits, veggies and lean proteins. Processed foods can lead to constipation, so remember to balance out those “kids foods” like hot dogs, chicken nuggets and mac & cheese with some high fiber options like pears, carrots, peas, apples, beans or avocados. If your child has trouble adding variety, there is always Bacharach’s Feeding program to help out here! Is your child on board? Are she ready to sit in the potty position to try? Have you read potty books and watched potty videos and is she excited to embark on this big kid activity? Is she excited to ditch her diapers for big kid undies? Are you able to provide a low pressure and stress free environment for her to learn in? If the answer to all of this was yes, give it a try. If there is some work to be done here prior to starting, please prepare your child more. When there are deadlines, boot camps and expectations a child is more at risk for holding stool and having chronic constipation issues.